Welcome to my Garmin VIRB Ultra 30 Review! Cameras which are manufactured by GoPro, and those that are not. Indeed, with their superior quality, impeccable performance and amazing reliability, GoPro’s line of products have been the norm for serious photographers as well as amateur enthusiasts. companies like Garmin continue to float in the fray, desperately trying to break through by matching GoPro with their specifications and offering their products at a cheaper price. The Garmin Virb Ultra 30, for instance, seems to be a serious contender. Its intuitive, touchscreen controls, 3-axis electronic image stabilization, and G-Metrix sensor data made it stand out among its peers. Since its release, GoPro has invested more on its products and have come up with the Hero 5 and the Hero 6 Black. This triggered a price drop on Garmin’s part. 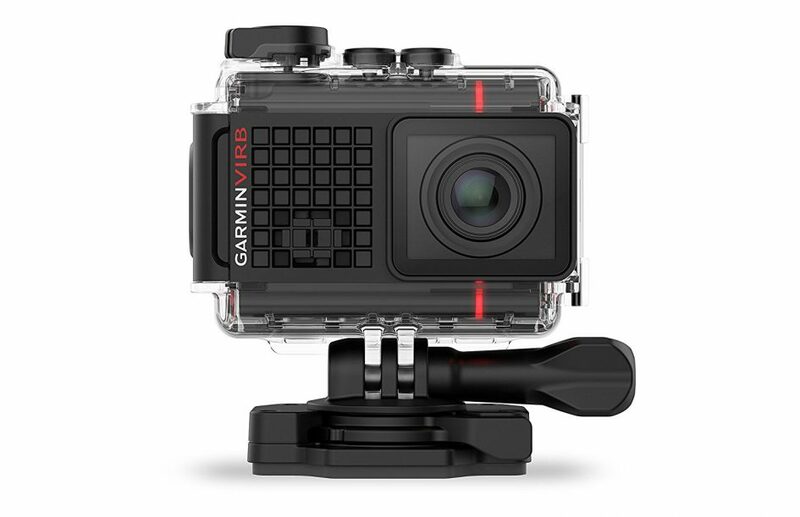 The Garmin camera is similar in design to the GoPro models, but it is not waterproof without a casing, unlike the Hero 6 Black. With regards to video and image quality, the GoPro model fares better with the new GP1 processor allowing resolutions at higher frame rates. In low light conditions, however, the Virb Ultra 30 delivers crisper stills than the Hero 6 Black. Apart from being a trusted brand, GoPro attracts its customers by offering more editing options than its competitors in the market. While that may act as a deal breaker for a few Virb Ultra 30 enthusiasts, it should not be a problem if you are simply a beginner. The improvements on Hero 6 Black do appear extremely lucrative at the outset, especially considering the fact that both the devices are similarly priced. In order to help you decide, we have taken a detailed look into the features of the Garmin Virb Ultra 30 in the following paragraphs. The Virb Ultra 30 looks more like the Hero series from GoPro than its predecessors. It is a tiny box design weighing just below 90g. Garmin has kept the look simple and stylish with red and black finishes along with the Garmin branding on the front and back. 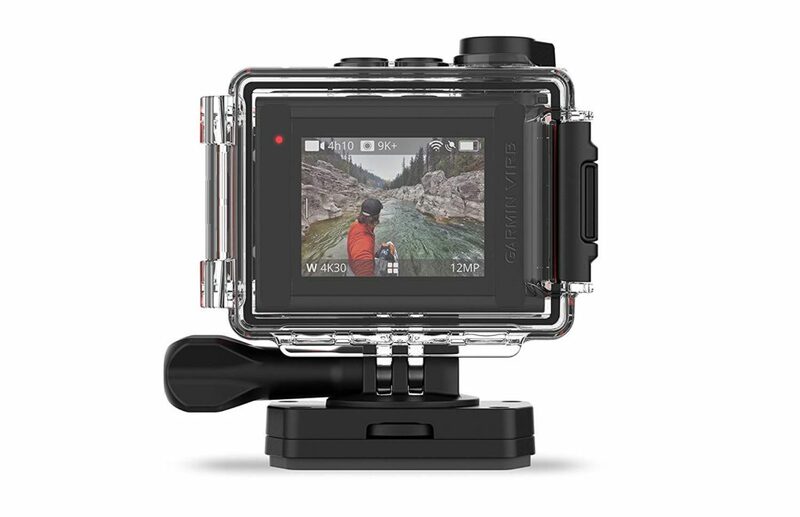 In fact, the design is so similar to GoPro cameras that you can even use GoPro mounts for this camera. One of the interesting features in this model is the integrated touchscreen that allows you to change settings even through the waterproof case. This used to be a significant advantage a year ago when the camera was released, but once the Hero 5 and 6 flooded the market, Garmin was no longer the one offering such a feature. The physical controls are laid out in a simple but effective manner. A dedicated video switch turns the camera on and begins recording. There is also a power button at the top along with a button to connect the camera to your smartphone via Wi-Fi. The video switch is an extremely useful feature that lets you know whether the device is turned on even when you cannot see the screen. If you hold the device with the screen facing you, you will find the micro-HDMI and the micro-USB ports to your left and a switch to your right that opens up the battery cover at the bottom. The waterproof case ensures you can safely use your camera up to a depth of 40 meters. The touchscreen display lies at the rear, making it easy for you to swipe away at the settings. The touch input is fast and precise, just like the Hero 6 Black. The panel is smaller than the GoPro device, but it does a decent job anyway with good brightness levels and clear pictures. In fact, the interface is clearer than the GoPro model, and the larger menu options make it easier to avoid accidentally pressing the wrong options. The preview screen throws up six options to select from – video, photo, playback, presets, wireless, and display. This is of course in addition to the cursory back button and the settings icon. Garmin has also meticulously added a couple of quick settings too – swiping from the left helps you access the video and photo settings while swiping down from the top leads you to connectivity settings. Moreover, if the touchscreen bores you, the voice control feature is there for the taking. You are probably familiar with the “Okay Google” catchphrase. The Virb Ultra 30 takes a leaf out of that book and has set the voice command preface to be “Okay Garmin”. 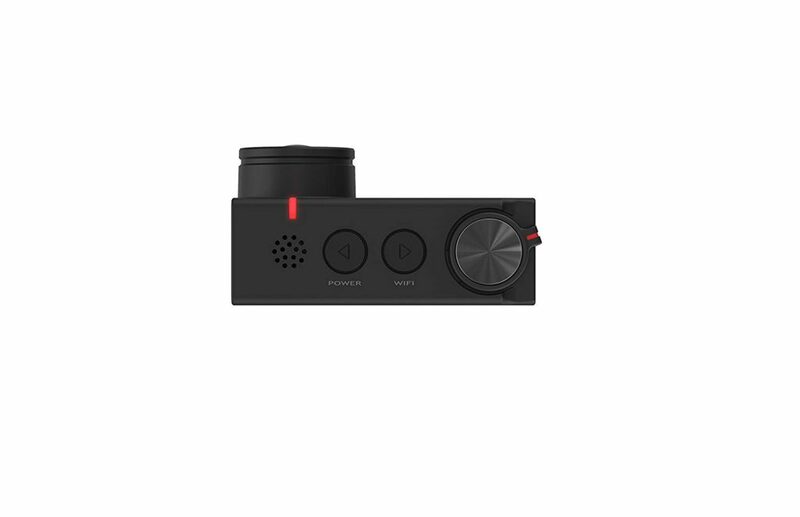 Voice control lets you begin a recording, take an image, and even tag a still in a video while recording. Of course, it will not work under noisy conditions, but that’s understandable. Unlike GoPro, Garmin does not allow its users to use voice commands for photo bursts or timelapse. The most lucrative feature of the Garmin Virb Ultra 30 is its capability to shoot 4K videos at 30 fps. This is slightly inferior to the GoPro Hero 6 Black which can record 4k at 60 fps, but you need to keep in mind that the Garmin device was launched months before its competitor. Recording through half the frame rate equivalent should not be a problem unless you are looking to play around with slow-motion editing. The Virb Ultra 30 records crisp and color-rich videos at 4k, 2.7k, 1080p and 720p. Further, the electronic image stabilization (EIS) ensures you get a smooth recording even on bumpy terrain. The EIS, however, does not work in 4k or 2.7k resolutions. Also, 4k is restricted to the ‘wide’ field of view, and you cannot enable the lens distortion correction. On the contrary, 1080p offers two narrower fields of view, and lens correction also does an admirable job in removing the fisheye effect. Garmin also provides several advanced settings like different sharpness levels, a high bitrate mode that records at 60 megabits per second, and an option for a flat color profile that maintains greater dynamic range. It also allows you the freedom to change the exposure and ISO limits according to your need. 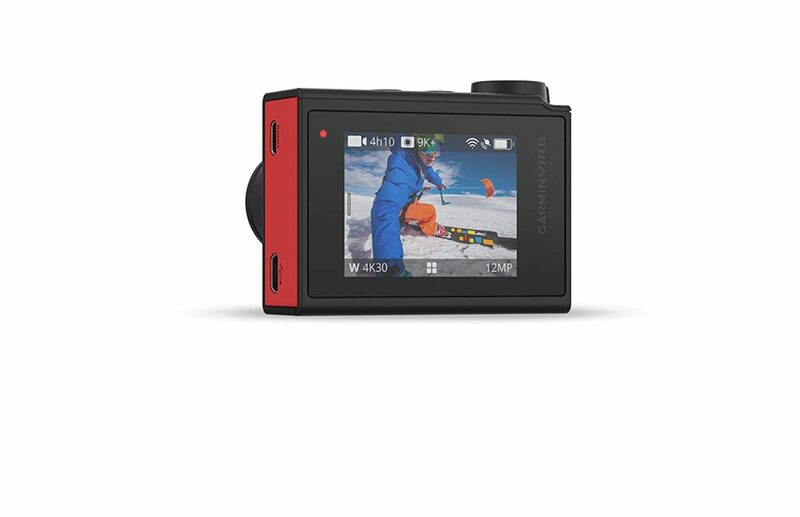 Just like the Hero 6 Black, Garmin Virb Ultra 30 offers 12 MP still photos, although with cooler and more accurate colors. The difference between the cameras is particularly appreciable in low light conditions where the latter outscores the GoPro model, courtesy of its bright and crisp images. The Virb Ultra 30 boasts of an accelerometer, gyroscope, compass, barometer, and a GPS that provide relevant information regarding speed, position, g-force, hill grade, etc. You can even add additional premium sensors such as temperature and heart rate for a fee. The most noteworthy feature, however, is the G-Metrix. The device constantly writes G-Metrix data to a sidecar file while shooting a video. This file is seamlessly imported along with the video to your smartphone or PC app, thereby allowing you to stay abreast of all the data you will ever need. Garmin’s mobile app is useful to remotely control the camera when you are unable to reach it. The app requires Wi-Fi to pair your smartphone with your camera. The preview screen looks simple and unfussy, and tapping the gear icon on the bottom left opens up the scrolling menu. All camera settings are available, along with the Locate Camera button that triggers the camera to emit a set of tones. The Broadcast button is a handy upgrade that allows you to live stream your recording on YouTube. The Virb Ultra 30 sports a removable 1250 mAh battery that can last up to 2 hours and 15 minutes if you are shooting at 1080p at 30 fps. Doubling the frame rate decreases the battery time by nearly 45 minutes (with GPS turned off). This is significantly less than the recent GoPro models. It, therefore, makes sense to carry along an extra battery if you are planning to record for a full day with this device. The battery compartment also contains the microSD memory card slot which takes cards up to 128 GB. 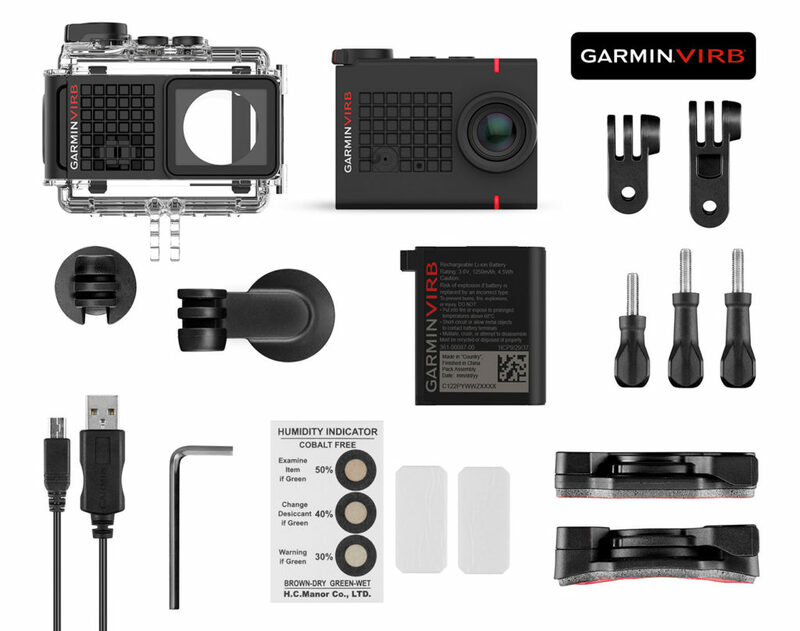 While GoPro continues to lead the market handsomely in this regard, Garmin is looking to catch up with over 30 accessories available for the Virb Ultra 30. The device comes with a waterproof case, but you may be better off by spending an additional $40 for a cage with a protective lens for your camera. Also, if you have owned a GoPro previously, you may use those mounts with your Garmin device too. The Garmin VIRB Ultra 30 is a feature-rich, hassle-free action camera that deserves a shot if you haven’t yet played with G-Metrix. For its price, the Virb Ultra 30 is in a good position. I really liked the video and photo quality, the fact that it has image stabilization and of course the different features it includes. But apart from that, it does not have anything more to offer than the recent GoPro models that come at pretty much the same price. If you have any questions then please feel free to leave a comment in the comments section below and I will answer you as soon as I can.